Another open door awaits. Again, the boy follows the cat, this time into an apartment filled with books and toys. No one is there, but a table set for tea testifies to the fact that someone has been there recently. More drawings are scattered throughout, which the boy picks up one by one. With his pile of sketches in hand, he continues up several more staircases until he reaches an attic where a wonderful surprise awaits him. The stunning illustrations in this wordless book invite the reader into a mysterious world that evokes the beauty of the past. 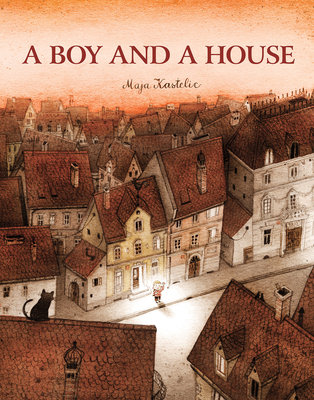 Drawn by the light radiating from every open doorway, the boy lets his curiosity take him on an amazing journey of discovery, which young readers can elaborate with their own versions of the story.